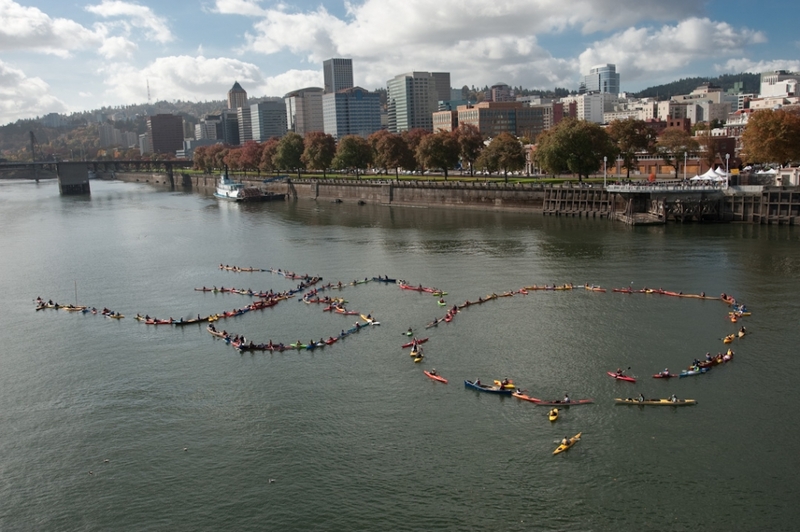 On Saturday, October 24, nearly 200 whitewater and sea kayaks, stand up paddle boards, and canoes converged on the Willamette River in Portland, Oregon to form a giant floating 350 as part of the largest global day of climate action ever. Paddlers in this River of Action event joined more than 5,200 rallies in more than 180 nations to urge world leaders to take fast and effective action on global warming, to bring attention to the number 350. Scientists have insisted in recent years that 350 parts per million is the most carbon dioxide (CO2) we can safely have in the atmosphere. The current CO2 concentration is 390 parts per million. Check out the VIDEO of the 350 coming together. We couldn’t have asked for a more beautiful day in Portland. The sunny, warm weather helped to keep folks in good spirits as they fought a strong current in the river channel to form the 350. But even with the current, everyone came together to make it happen. 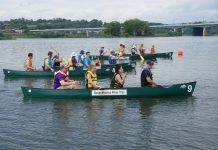 Paddlers were stoked to be out on the water taking a stand to protect the planet where we live and the rivers where we play. As paddlers, we experience the impacts of climate change firsthand. Less snowpack is drastically affecting our rivers and waterways. The climate is something we can get back on track. And after Saturday, there’s no doubt that we want to see real action from the world on climate change before it’s too late. 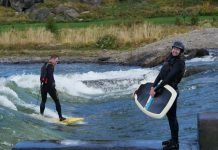 Around the world on Saturday—from the Willamette River to the melting slopes of Mt. Everest—people took part in the 350.org International Day of Climate Action. The actions come six weeks before the world’s nations convene in Copenhagen for the United Nations Climate Change Conference to draw up a new climate treaty. Eighty-nine countries have already endorsed the 350 target, as well as the chairman of the Intergovernmental Panel on Climate Change, Rajendra Pachauri, the world’s foremost climate economist, Sir Nicholas Stern, Nobel prize-winner Al Gore and hundreds of thousands of global citizens. All agree that current atmospheric levels of CO2—390 parts per million—are causing damage to the planet and to its most vulnerable people, and that government action at the Copenhagen climate conference is required to bring the earth’s carbon level swiftly down.